Alex's strong performances for Saracens over the past few seasons have thrust him into the spotlight at International level where he is seen as being part of England's bright future. Alex is happy to play at full back or fly half and has been representing England U20's and the Saxons after coming through the ranks of the Saracens academy. 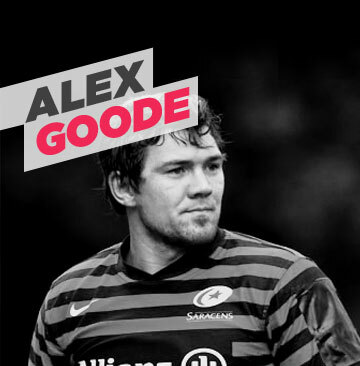 Although they share the same name Alex is no relation to Leicester Tiger Andy Goode. Alex is a big supporter of Hambo and has attended events in support of the Foundation, 'I hope to continue to assist the Foundation in whatever way I can', he says.